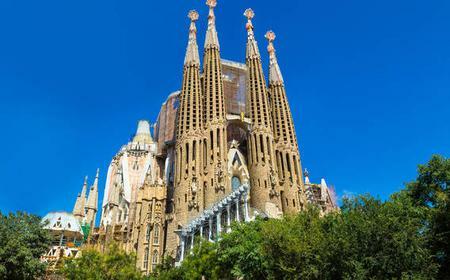 Barcelona's most popular and famous attraction, the Sagrada Família, is a testament to Antoni Gaudi's Modernist style and quite possibly unlike any other church in the world. 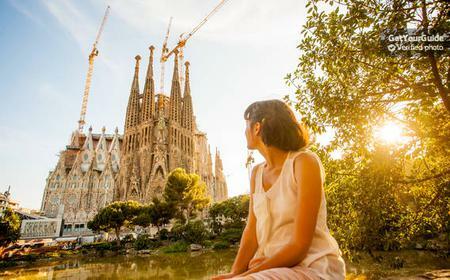 Barcelona's most popular and famous attraction, the Sagrada Família, is a testament to Antoni Gaudi's Modernist style and quite possibly unlike any other church in the world. 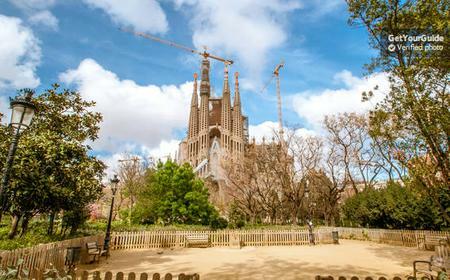 The unfinished basilica is estimated to be completed by 2026, which would mark the 100th anniversary of the trailblazing architect's death. 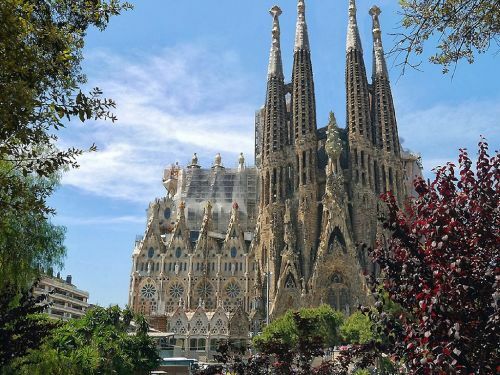 12 of the 18 planned spires have been finished, and the completion of the 170 metre high central spire of Jesus Christ will make the basilica the tallest church in the world. 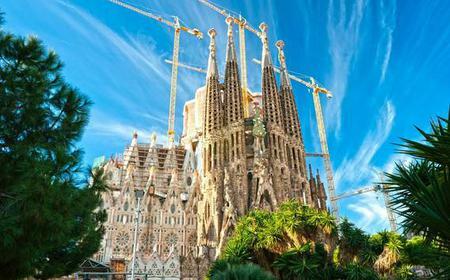 The Nativity Façade and the Crypt of the Sagrada Família, which were finished by Gaudi in his lifetime, are recognized as a World Heritage Site by UNESCO for being 'an exceptional and outstanding creative contribution to the architectural heritage of modern times'. 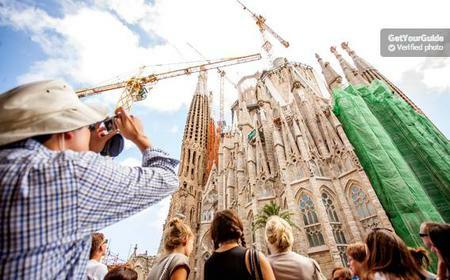 There is a limited quota of tickets for each day and lines can be impossibly long, so it is best to buy fast-track Sagrada Familia entrance tickets in advance for a guaranteed hassle-free experience. 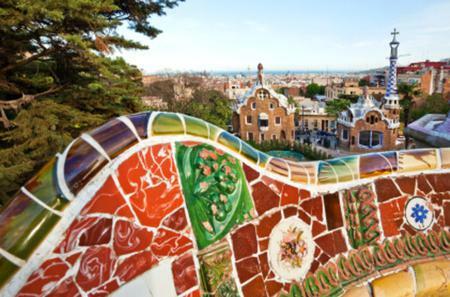 Explore this breathtaking architectural masterpiece with a guided tour, and view the awe-inspiring art details. 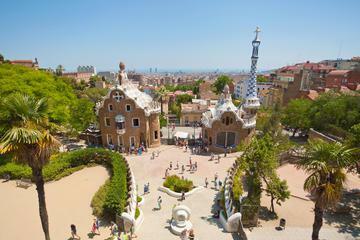 Two of the towers are joined by a bridge which can be accessed and provides spectacular views over Barcelona. 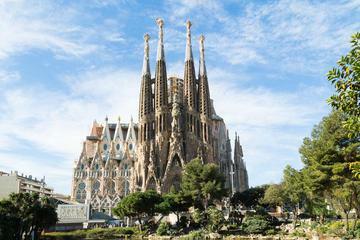 The ornate Nativity façade to the east was constructed in Montjuic sandstone from 1894 to 1930, most of which was under Gaudi's direct supervision. It is dedicated to the birth of Jesus, with intricate texture and detail which incorporate items seen in nature. Facing the rising sun, it is decorated with scenes symbolizing life. The facade is divided into 3 archivolts with porticos dedicated to the theological virtues of Hope (left), Faith (right), and Charity (center). The porticos are separated by columns with a turtle and tortoise, representing sea and land, and symbolizing time as invariable. In contrast, the chameleons on the sides represent ever changing nature. The central double door in polychrome bronze and glass is decorated with vegetation, insects and small animals from Bethlehem where Jesus was born. The door of Charity is decorated with ivy, with the Tree of Life rising above; the door of Faith with wild roses without thorns – representing the legend of St. Francis of Assisi; the door of Hope has cane plants that allude to the Holy Family's Flight to Egypt. 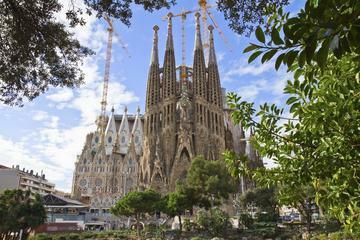 The façade culminates in 4 bell-towers dedicated to St. Matthias, St. Jude, St. Simon, and St. Barnabas. The Passion façade to the west was built in 1956-1976, and is dedicated to the suffering of Christ for the sins of man. The austere design is meant to highlight the bareness of the stone, resembling a skeleton reduced to the simple lines of bones. It is striking for its gaunt figures, including the emaciated figure of Christ on the Cross. 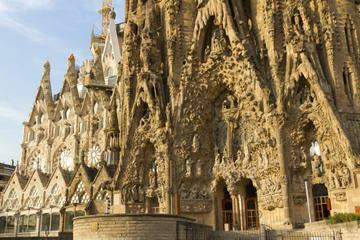 The façade has 3 portals dedicated to Faith, Hope and Charity (center). The portal of Charity has 2 doors dedicated to the Gospel with Gospel texts, and features the Column of The Flagellation. The portal of Faith presents the Gate of Gethsemane dedicated to Jesus' prayer in the olive orchard, while the portal of Hope presents the Gate of the Coronation of Thorns, where Jesus appears to be mocked with the crown of thorns, mantle and reed. 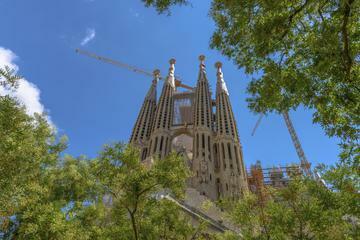 The Glory façade to the south is incomplete, but will be the largest of the 3, representing the road to God. 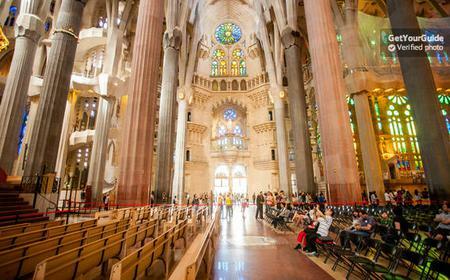 The interiors are huge, and can hold an estimated 13,000 people. Laid out as a Latin Cross with 5 aisles, it features intertwined hyperboloid vaults and columns designed to be reminiscent of trees. Though the church is still under construction, the central nave, apse and crypt as well as the Nativity and Passion towers are open to visitors. The central nave vaults are 45 metres high, while the side nave vaults are 30 metres. The apse, which lies between the facades of Nativity and Passion, has 7 chapels. 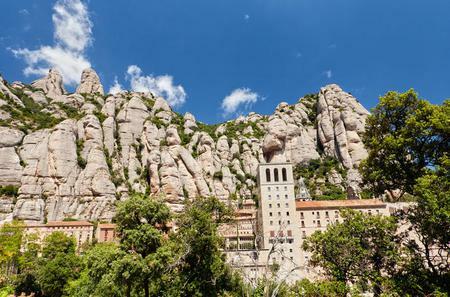 The Santísimo Chapel is used as an oratory, and features a stone altar of Montserrat on which there is a silver tabernacle with a copy of the relief of the Holy Family by Josep Llimona that is in the crypt. Located at a depth of 10 metres, the semi-circular crypt is 40 metres long and 30 metres wide, with 7 chapels dedicated to the Holy Family - San José, Sacred Heart, Immaculate Conception, San Joaquin, Santa Ana, San Juan Bautista, and Santa Isabel and San Zacarías. They are arranged in an ambulatory, with 5 other chapels in a straight line - the central Sagrada Familia which houses the altar with an image of the Holy Family by Josep Llimona, flanked by the Chapel of Nuestra Señora del Carmen in which Gaudi is buried, Chapel of Jesus Christ, Chapel of Our Lady of Montserrat, and Chapel of Santo Cristo where Josep Maria Bocabella was originally buried. The 22 Gothic vaults of the crypt feature decorated keystones.